Discover the amazing features and benefits of the best automatic sprouter, the EasyGreen Sprouter, for growing healthy fresh tasty sprouts right in your own home with ease using our highest quality organic sprouting seeds. The EasyGreen Sprouter was developed out of the growing demand for organic health food. The EasyGreen’s unique technology empowers the individual to maintain a high potency immune system, by providing natural vitamins, minerals and enzymes that no other food or artificial supplements can rival. Seeds generate chemical heat during germination and need to be cooled to avoid mold and rotting. The EasyGreen Sprouter uses a patented technology where mist and oxygen are applied simultaneously to the seeds, thus both cooling the seed’s water and air and oxygenating the seeds and water. Sprouts require little water but abundant amounts of oxygen. Other automatic sprouters and conventional sprouting methods supply plenty of water yet only provide natural air displacement. Update: This item is no longer available and has been replaced with the new EasyGreen “Light” Sprouter (EGL 50). Please click here to learn more about this new sprouter! 1. Inhibitors in seeds are the natural defense mechanism of seeds acting as a deterrent for germs and bugs. Some sprouters re-circulate the same water! Your sprouts are then irrigated with water containing toxins and inhibitors, defeating the concept of using clean, good water for your sprouts. Bearing in mind that sprouts are made of 80% water, using clean water makes sense. The EasyGreen Sprouter drains all used water out of the machine. 2. Sprouts are sensitive to environmental conditions and climate changes. For example, in warm, humid areas such as Florida, Hawaii, Brazil, it’s virtually impossible to sprout with conventional methods. The EasyGreen Sprouter works in all these areas year around! To the full satisfaction of our customers. 3. Managing and controlling the humidity within the machine is critical to the sturdiness of the sprouts. The EasyGreen Sprouter uses a unique 96-activations timer, allowing the grower to fine-tune the machine to his or her specific environmental conditions. 4. Unlike the EasyGreen Sprouter, other automatic sprouters do not have a built-in water reservoir and cannot select the source of water to use. The EasyGreen’s built-in water reservoir is compatible with either de-mineralized water, distilled or R.O. according to your specific needs. 5. 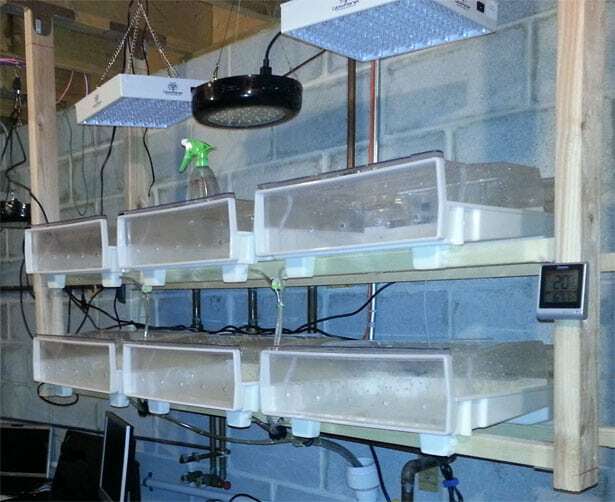 The water reservoir allows adding minerals that enhances growth, such as liquid kelp or hydroponic growing solutions. No known conventional or automatic sprouter allows the same flexibility. 7. The EasyGreen Sprouter uses about ½ gallon of water in 24 hours due to it’s fine misting activity. Sprouters that use an automatic irrigation system need to be plumbed and use 3.5 to 5 gallons of water a day! 8. Seeds germinated in conventional sprouting methods such as jars, bags, trays etc. need to be MANUALLY rinsed 3 to 6 times a day. The EasyGreen Sprouter rinses automatically as many times as needed a day during the complete growing cycle. 9. Conventional sprouters require a pre-soaking operation of 8 hours up to 24 hours, before commencing the propagation of the seed. The EasyGreen Sprouter requires NO pre-soaking. Seeds are placed in the tray or cartridge DRY and the machine takes over, soaking, rinsing, misting, oxygenating and draining automatically. Thus saving you an extra day of pre-soaking and the manual handling of the repeat daily rinsing. 11. Unlike other automatic sprouters, the EasyGreen Sprouter uses a mist generator. No sprinkles or foggers that will clog and may stop irrigating without the grower being aware. 12. Some growers prefer to use soil for some crops such as wheatgrass or sunflower greens. Other sprouting methods are soil or soil-less (Hydroponic). The EasyGreen Sprouter may use both concepts! With no damage to the machine or crops. 13. 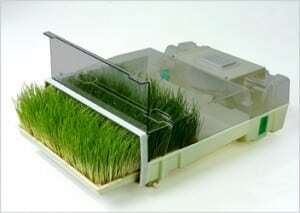 The EasyGreen Sprouter uses FOOD GRADE QUALITY Trays and Cartridges in accordance with FDA regulations. Most other automatic sprouters use storage containers and trays! 14. D.I.Y. sprouters require purchasing parts at hardware stores, not to mention the hassle of putting them together, which means there can be no manufacturer’s warranty on the complete system! The EasyGreen Sprouter revolutionary system, now sold in 32 countries around the world, carries a full manufacturer’s warranty. We are so confident in our automatic sprouter technology that you may purchase an extended manufacturer’s warranty for up to 10 years on the Easygreen Sprouter! 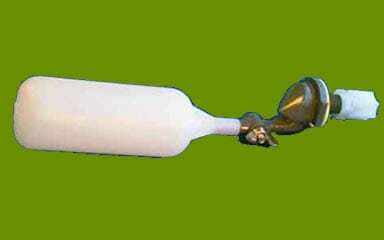 The best automatic sprouter, the Easygreen Sprouter.